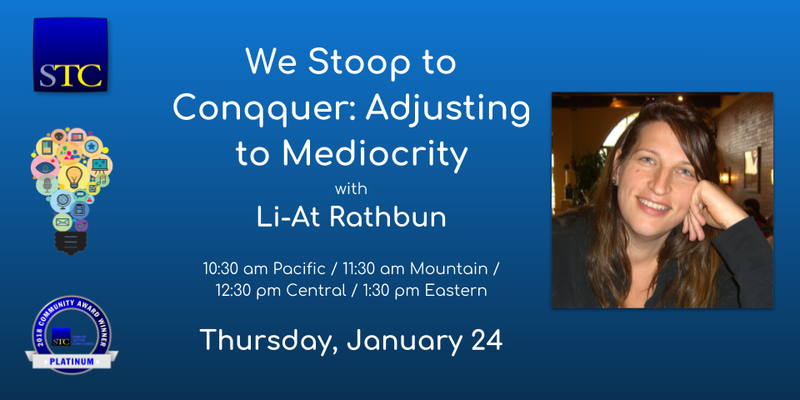 Join us for the "We Stoop to Conqquer: Adjusting to Mediocrity" webinar with Li-At Rathbun. Is a venting session! In our cone of silence, we will close our eyes, use anonymous names, and share our travails. 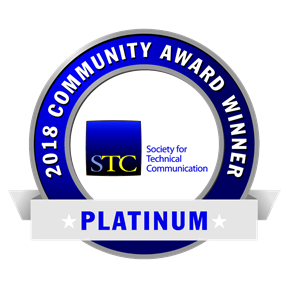 Li-At Rathbun has over 20 years of technical communication experience (yes, since kindergarten). For the last eleven of those years, she’s worked primarily as the technical editor at Yardi Systems—an international software company. Li-At is an STC Associate Fellow and she teaches the popular “Technical Editing Foundations” STC online course. If you’re in Santa Barbara on the first Saturday of any given month, you might catch Li-At performing with Santa Barbara Improv. You can connect with Li-At on LinkedIn and Twitter (@virtual_li). 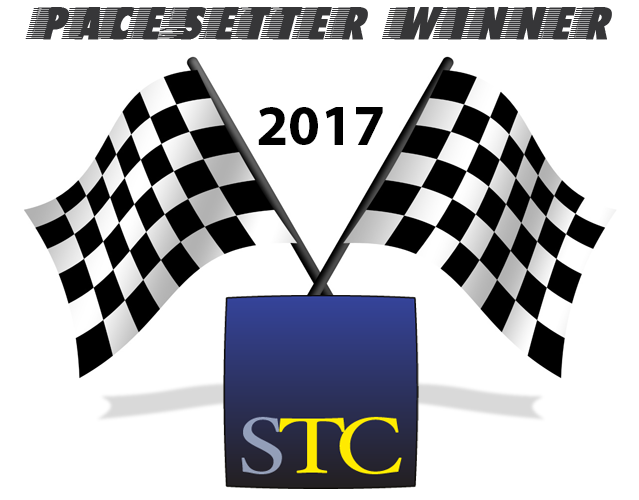 Next PostNext Programs update: Rockin’ the webinars!